If you’ve never been on a stag party weekend, there is a good chance you’ll know nothing about how to organise a stag party. Here in Stagaparty.ie HQ we simplify the process and make sure that you have a great weekend away with the lads. 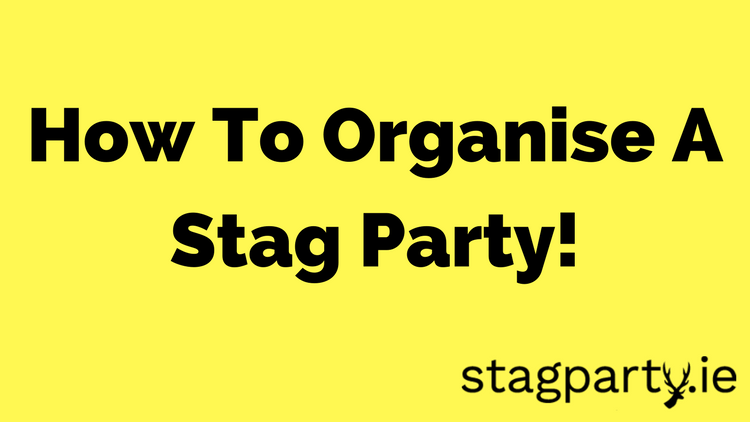 So, this is a simple guide of How To Organise A Stag Party! Firstly, decide on where you want to go for the stag party weekend. Sounds easier than it is. That’s because there are tons of great towns and cities for a stag party all over Ireland, UK and Europe. You really are spoiled for choice. After deciding on where to go for the stag party weekend. It’s time to choose a stag party activity. Check out our activities page for the full list but you can enjoy things like Paintball, Karting, Clay Pigeon Shooing and Surfing. Again it can be tricky choosing an activity but rest assured what ever you choose will be a hit with the lads. The old whatsapp group is brilliant for this. You’ll have to confirm numbers so the accommodation and activity can be booked. Again you’ll need the input from all the lads heading on the stag party. But, the date for the stag party weekend has to suit the Stag himself first. Once you’ve picked a date the excitement and countdown begins. We would advise not to have the stag party too close to the wedding. He’ll be in no condition afterwards! Traditionally, you would collect all the money from the guys going on the stag and make the payment. We knew that is just to much hassle so we have set up a ‘Pay Individually’ option that allows all the guys log in and pay what they owe online. Finally, after all the planning, preparation and waiting. 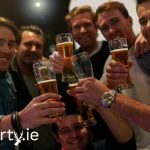 It’s time to head on the stag party weekend, enjoy a few beers and give one of your mates a proper send off! Are you looking to book a Stag Party weekend soon? Contact us today on info@stagparty.ie or call 051390383 for more details.